At the Unique Threading Salon in Chelsea, our experienced technicians use cotton thread to quickly remove facial hair. By using a line of thread to remove the hair, we are able to sculpt your brows with a precision you simply cannot achieve with waxing. Where did this process begin? Originating in the Middle East, threading marked the transition into adulthood and marriage for Persian women. Both men and women turn to this hair removal technique to remove unwanted facial hair. When you wax your eyebrows, some of the wax can adhere to skin cells, removing some of your skin along with the hair. Not only is this painful, but it results in redness and swelling as well. Some people believe that waxing can contribute to loose skin and wrinkles over time because it pulls on the skin. Because no chemicals are involved in this hair removal technique, your skin is less likely to become inflamed. If you are prone to breakouts, waxing is probably not the best hair removal technique for you. Waxing can leave a residue on the skin that needs to be removed with oil, which could result in breakouts. Some people find that threading is less painful than tweezing because it removes one clean line of hair instead of each hair one by one. Threading removes your as quickly and as cleanly as possible. Threading lasts anywhere from two weeks to an entire month, leaving your brows looking perfectly shaped longer. In fact, the more regularly thread, the slower your hair growth will be, so the results could last longer over time. Different Hair removal methods work better for different types of hair, but threading works well on all types of hair. 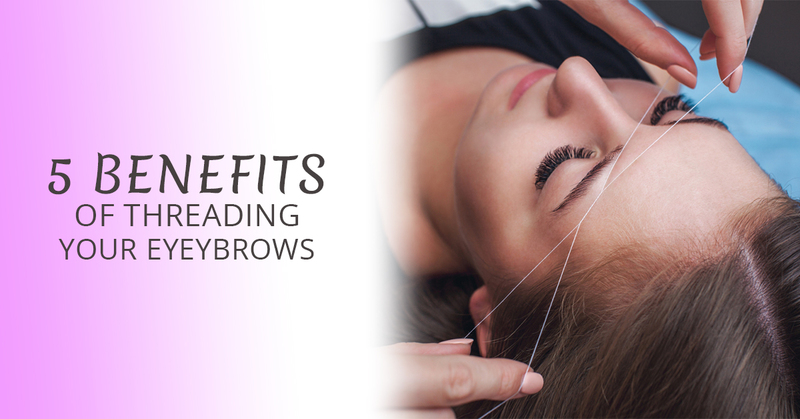 Whether you have fine or coarse hair, threading effectively removes facial hair. What Areas Do People Commonly Thread? You can thread any of your facial hair, including your eyebrows, lips, chin, sideburns, neck, and full face. If you prefer a different hair removal technique, we also offer waxing for smooth results. We also offer sugaring, which could be a better option than waxing for more sensitive skin types. No matter what hair removal technique you prefer, our technicians make sure to provide you with the best hair removal results every time. If you would like to further enhance your eyebrows, we also offer tinting services. Further pamper yourself with our henna services and massage treatments. With four convenient locations to choose from in New York, stop by the Unique Threading Salon for the highest-quality hair removal services. With a location in Flatiron and the Garment District, you can stop in for threading during your lunch break. With two locations in Chelsea’s, you could make an appointment before taking the subway home. Contact the Unique Threading Salon today to make an appointment.